My sincere condolences have ben sent to the family on behalf of myself and the fan club. . 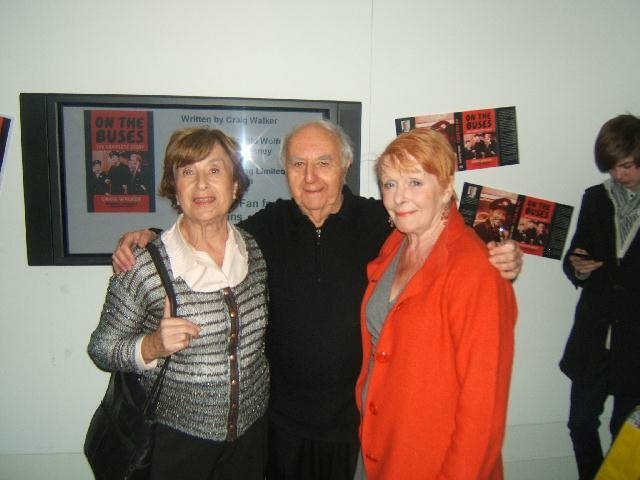 I first meet Hal/Shirley at the ON THE BUUES book launch book. Hal made plenty of time for the fans and was more than happy to sign autographs and pose for photos. Hal seemed a lovely kind person and we spent some time chatting and I also interviewed her for the fan club which will be screened at next years event in memory. A fine actress who loved theatre she will be sadly missed but not forgotten here at the fan club. 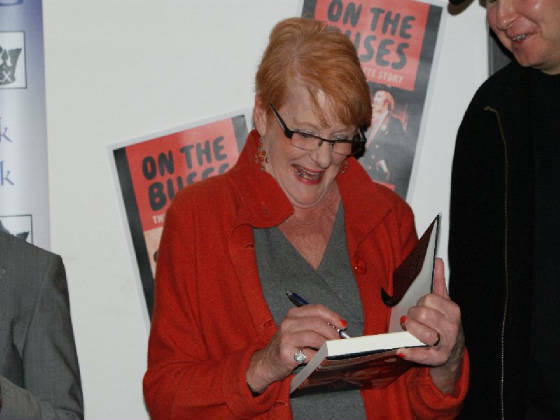 MUCH-LOVED Lingfield actress has died suddenly aged 76 from a brain haemorrhage. 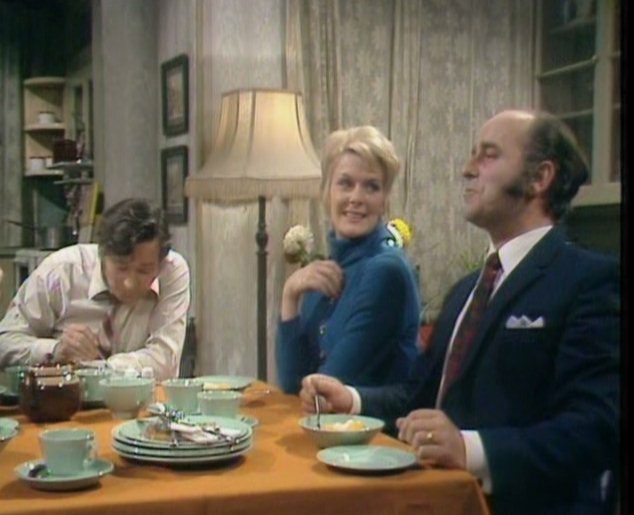 Shirley Robbins, or Hal Dyer as she was known in her acting career, had been a resident in the village for 25 years and lived on Felcourt Road. Shirley was discovered by a close friend lying on the floor in her home and was rushed to East Surrey Hospital, where she later died. "She was an absolutely fantastic woman with a great sense of humour," said 43-year-old son Ben Robbins. "She will be missed by everyone, whether she was a friend, mother or grandmother. People will miss her anecdotes and her name-dropping." 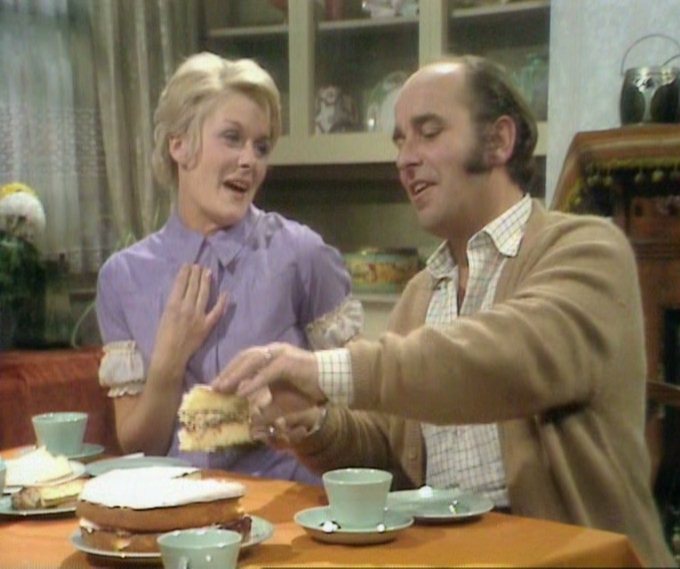 After her husband, the actor Michael Robbins, died in 1992 she opened Browsers Coffee shop in East Grinstead Road, an eclectic mix of books, collectibles, theatrical memorabilia, cake and coffee. Upstairs the mother-of-two managed to erect a small theatre, which seated about 50, and here she produced a diverse mix of readings, plays, concerts, talks, and a Christmas pantomime. It was also here that she founded The Green Room Theatre Company. With actor David Bromley she worked on the revival of classical theatre and on new projects, often written by herself. "My mother lived for everything and anything theatre-related – she thrived on it," Ben added. As an actress, she trained at the Birmingham School of Speech and Drama, and became a member of Sir Barry Jackson's famous Birmingham Rep, playing many leading roles. More followed with seasons in Chesterfield, Bromley, Salisbury and Windsor. Her television credits include A Man For All Seasons, Emergency Ward Ten, Crossroads and guest appearances in Butterflies, The Bill and Whose Life Is It Anyway? 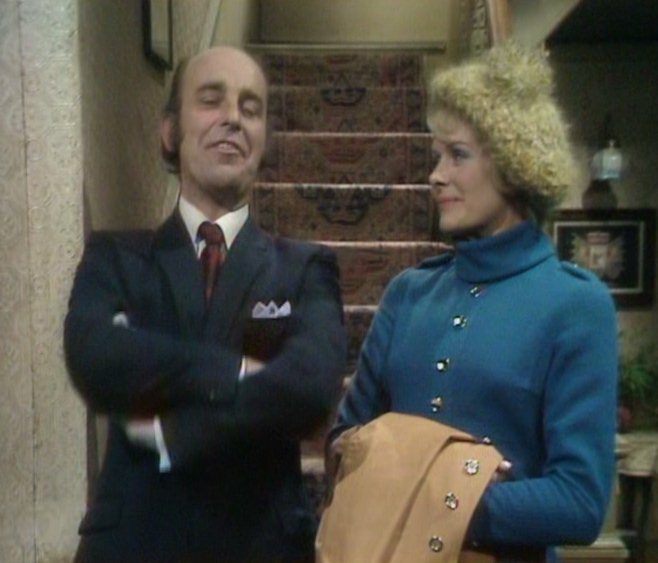 For four years she was one of the regulars in the classic BBC children's series Rentaghost playing neighbour Rose Perkins. Her time in West End theatre included Murder At The Vicarage and Time and The Conways. "It is such a shock. It was so quick that she passed away," Ben added. "I think a lot of people would visit her shop to chat to Shirley and hear her endless array of wonderful anecdotes, encompassing her career that was dedicated to the arts for almost 60 years," he said. She will be missed by members of The Green Room Theatre Company, her close friend Richard, her children Ben Robbins and Sarah Cliffe and four grandchildren Daniel, Max, Lucy and Joe. 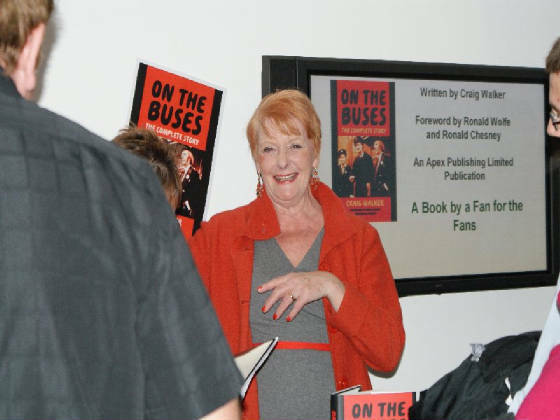 Chris D'Avray, chairman of Lingfield Parish Council, said: "She was a very lovely lady who was a very fine actress and will be greatly missed." Her funeral will take place at St Bernard's Catholic Church in Lingfield on Wednesday, December 21 at 3pm – the same date as her husband's funeral in 1992. This will be followed by a cremation at Surrey and Sussex Crematorium, in Balcombe Road, Crawley at 4.30pm. The family have said that all those who knew and loved Shirley are welcome to attend. The 3 images below show Hal/Shrilrey Robbins starring along side her husband Arthur/Michael Robbins.